Shock absorbers are used in a car’s suspension system to stop you biting off your tongue at the first sign of a pothole. 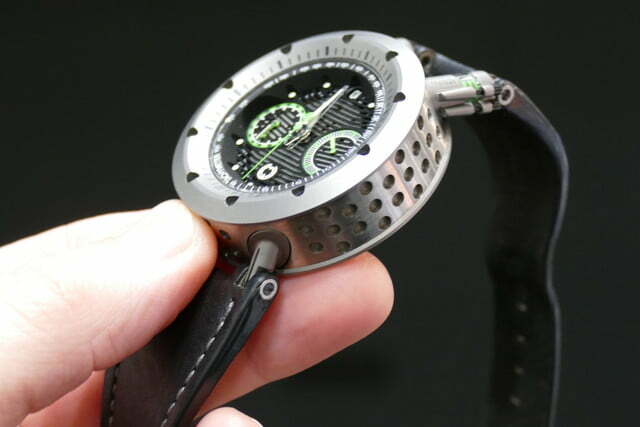 Take a look at MW&Co’s startling Asset watch, which replaces the normal lug-and-pin system you see on most watches, with a damper system that resembles the one on a car. Instead of extending vertically, the dampers on the Asset stretch lengthways, and the idea came about when one of the founders was looking for an alternative to the lug-and-pin layout. The reason? To increase durability and comfort, just like in a car. 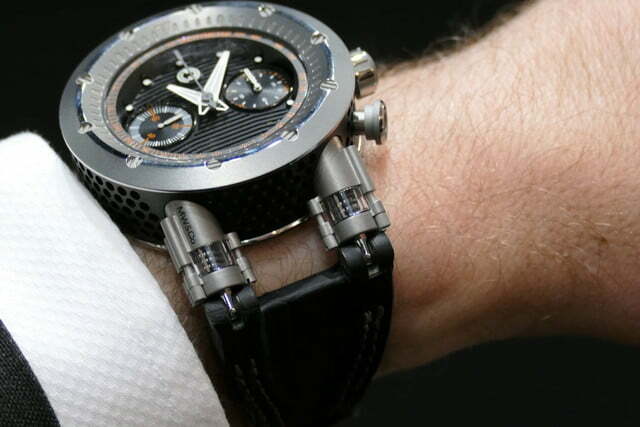 The dampers stretch and compress to compensate for wrist movement, stopping the large watch digging into your wrist as you go about your day. Amazingly, the dampers along with the superb design, really does seem to work. I wore the original Asset 2.1 for a short while, and the watch was way more comfortable than I would want a watch that costs at least $17,000 to be. If it was uncomfortable, I’d forget about it. Unfortunately for my wallet, I won’t forget about wearing the Asset 2.1. 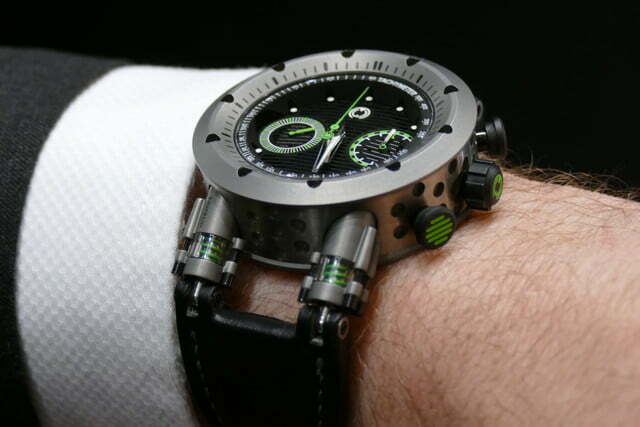 Visually, the dampers are really striking, adding to the motorsport design style of this original watch and the newly announced Asset 2.2 and Asset 2.3. 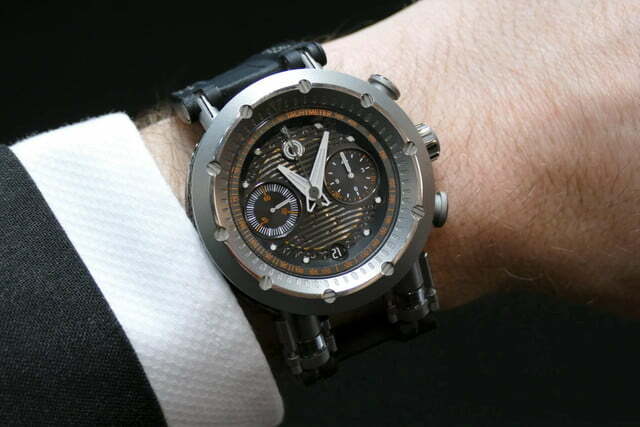 The unique titanium “ring” around the case and face-on design resembles a sports car’s side-exit muffler, while the dial has a grille that shows the automatic Eterna 3916A movement, which has a 60-hour power reserve. While MW&Co could have taken the easy route in making the dampers, it decided to do it the hard way, all in the name of a fabulous design. 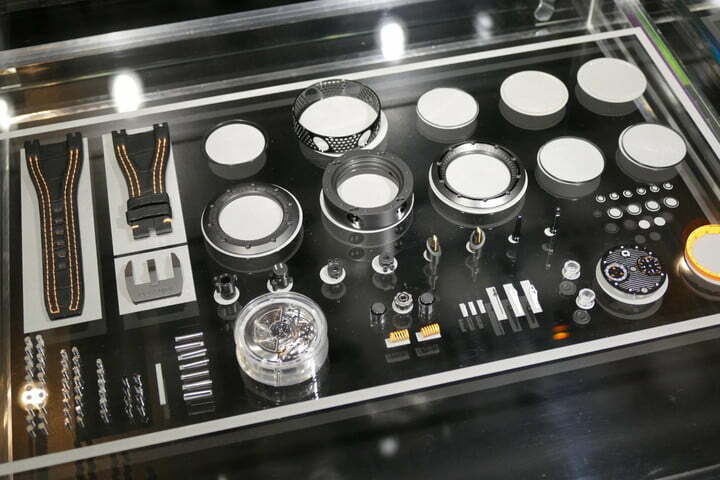 The lugs are made from grade 5 titanium with 14 tiny components inside — ranging from a piston and spring, to tiny seals for water resistance — and the transparent tube around them is made from sapphire crystal. This was a big technical challenge in itself, as sapphire is notoriously difficult to work with and shape. Even when all 77 of the components are ready to make an Asset watch, it takes a day to assemble. 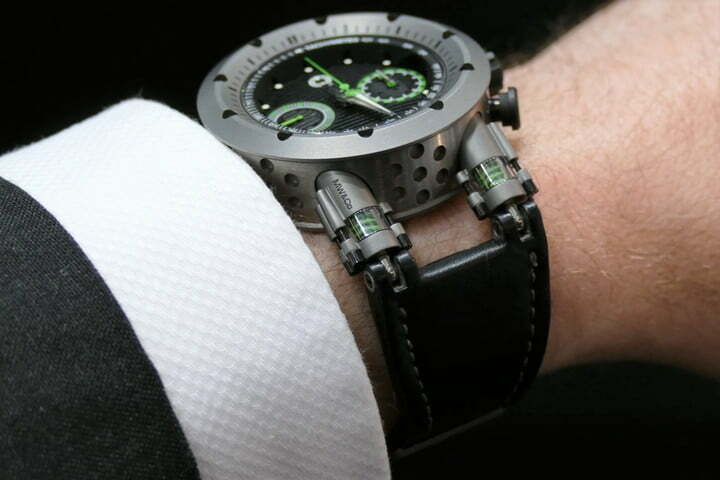 The 46mm titanium case, and the many other titanium components including hands, lugs, screws, and even the buckle, make the Asset extraordinarily light. It’s surprising given the overall height of the case, and although you can’t see or feel the dampers working, the way it disappears on your wrist suggests they do plenty behind the scenes. While the dampers caught our eye, the technical aspects and attention to detail held our attention. 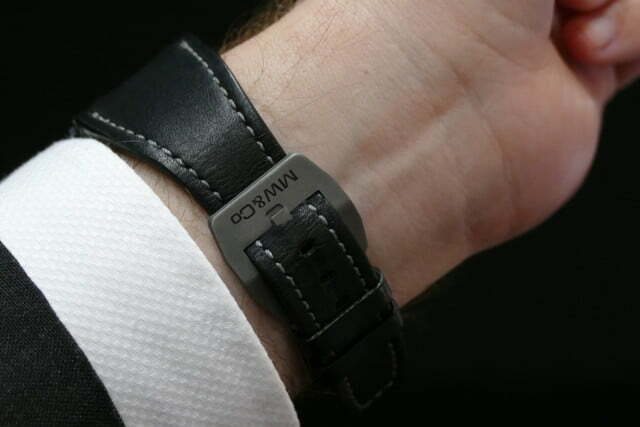 The Asset isn’t a smartwatch; but that doesn’t stop it being technically exciting. If, like me, you want one, be prepared to splash out. You won’t get much change from around $18,000 depending on the model you choose, and there are limited numbers of each made. Just 20 of the Asset 2.1 and Asset 2.2 models, and 50 of the black and orange Asset 2.3. 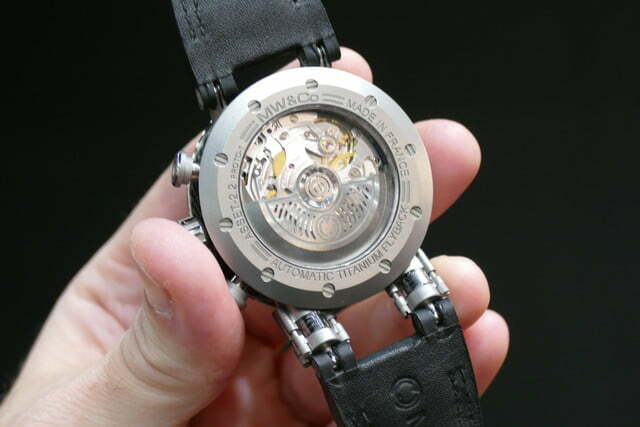 Yes it’s a lot, but when a watch looks like this, and is as comfortable to wear as this, it’s a terrible temptation.